Over $850,000 in illegal drugs are off the streets thanks to the efforts of law enforcement in Utah County. 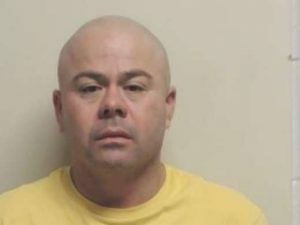 According to a press release from the Utah County Sheriff’s Department, detectives arrested 44 year old Jose Olegario Lopez after we was found to be in possession of methamphetamine and cocaine. Detectives with the Utah County Special Enforcement Team made the arrest on Jan. 12th following an investigation regarding the trafficking of illegal narcotics. Police say detectives from several agencies and deputies with the Utah County Sheriff’s Office attempted to stop a car driven by Lopez for traffic violations. Lopez did not stop until other deputies and detectives surrounded his car. According to the report, Lopez failed to respond to the command of peace officers and was immediately taken into custody and searched. During that search detectives found a small amount of cocaine in a coin pocket in Lopez’s pants. With the help of a K9 Officer from Spanish Fork Police, detectives conducted a search of the car and found a sealed box. Inside the box they found numerous individually wrapped packages. The report states detectives found one of the packages contained 2.35 pounds of cocaine. This equates to over 10,500 individual doses with a street value of over $106,000. Detectives found the remaining packages to contain 16.7 pounds of methamphetamine, equating to over 75,000 individual doses with a street value of over $750,000. Lopez’s 16 year-old son was also in the car at the time of the arrest. Detectives believe the son was not involved with his father in the possession or distribution of these drugs. The teen was later released to his mother. Detectives also believe the mother was not involved in this incident. Detectives contacted Agents with the Department of Homeland Security, Immigration and Customs Enforcement (ICE) and confirmed that Lopez is in the United States illegally. ICE Agents confirmed that Lopez has a record of eight aggravated reentry violations. ICE Agents placed a hold on Lopez and a judge ordered that Lopez be held without bail. we need the wall President Trump..